Content marketing is all the rage right now. That means coming up with an original content idea is harder than ever. And if you look at the typical responsibilities of a content marketer, that issue is just the tip of the iceberg. Content marketing involves activities such as content curation, information collection, and team collaboration – all of these are necessary for full-scale engagement and execution of a content marketing strategy. Curating content and collaborating on content creation is key to every content marketing team. Social media posts are still a favorite type of content among marketers. And since social media marketing is incredibly self-centered, without any kind of curation, you risk packing your feed with too much promotional content. Moreover, not including enough collaboration in your process will prevent you from developing a diversified tactic of thought leadership. Many content marketing teams suffer from a lack of time and experience collaboration struggles. Is there any way to create a system of tools that help to curate and collaborate on content? 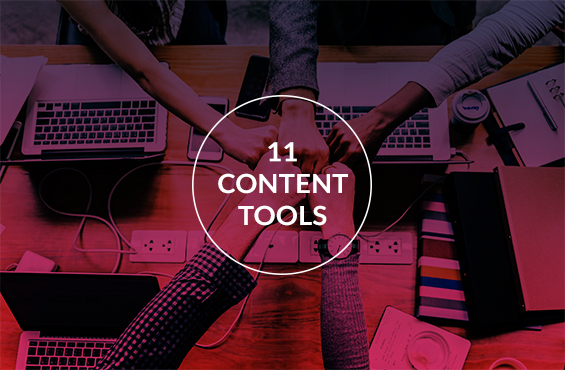 Here are 11 tools we believe help save time and resources of content marketing teams significantly. Slack is an all-time favorite for direct message sharing and as a company-wide communication channel. However, Slack alone isn’t always enough. Most of the time, if you don’t use any plugin augmentation, you’ll find it challenging to find a common space for group collecting and direct social sharing. Take one look at Smarp’s interface, and you’re bound to see that it looks like a social network. But in reality, it specializes in employee advocacy. The tool just makes it easier to for staff to become brand ambassadors. That’s why organizations can use it to solicit content or share research within teams or departments. Smarp is an excellent solution for internal collaboration. You can create your feed to easily collaborate with subject matter experts, start a dialogue around that content, solicit content ideas, and enable integrated social sharing through employees’ official and personal channels. It’s easy to lose the human touch when automating social sharing. Now, you might be thinking why we included Quuu here instead of Evernote. But anyone who has ever worked with Evernote will know that mastering the tool can be quite challenging. Quuu is the first social sharing automation tool curated by human users and designed for human users. The community submits unique social posts into categories that are reviewed by the app’s editorial boards to ensure high quality. If they pass the test, they’re hared automatically across all the connected social accounts, be it LinkedIn, Facebook, or Twitter. You can also set Quuu to send you daily content suggestions. The automatic sharing and suggestions features are always based on a selection of particular categories relevant to your niche. Have a look at a few collections to see how many options that offer for both direct and native sharing. It might not be so obvious, but Triberr offers one of the most exciting ways of promoting content. All it takes is diving into its content community and exposing potential readers to your content. The advantage is that you get exposed to new content as well and can easily keep up with your niche. Blogger communities located on Triberr support each other’s content and drive traffic from one location to the other, inspiring everyone to come up with new ideas all the time. Triberr might be criticized for its posting strategies since users can tweet about an article without even reading it first, but it’s still a fantastic tool for exchanging ideas. If what your content marketing team needs is more granular control over external clients and internal roles, this tool is a great pick. Zoho Social is a social sharing platform which is similar to Buffer or CoSchedule. You can use Zoho to set roles within specific access and permissions requirements. For example, you can have your clients view and interact with shared dashboards, reports, and collaboration tabs. All the while, your staff such as writers or social media managers can hop on and off from open to closed conversations. All in all, Zoho simply supports the decision-making process and makes your team more productive. Flipboard works like a content equivalent of Pinterest. It’s a platform for content sharing that helps drive traffic to your website. Flipboard boasts over 100 million monthly active users located in almost 200 countries. And you can be sure that the audience falls in all generational groups, from millennial or baby boomers. Even though Flipboard doesn’t include seamless social integrations like Zoho, but you can use it to create private boards that work excellently for internal collaboration. This one is a classic. If you need a robust social measuring and virality tool, BuzzSumo is your best pick. It also comes in handy to content marketers who are targeting mainstream publishers for guest posting. BuzzSumo is perfect for research because it allows you to search URLs or keywords different filters like time, date, location, or even the word count. You can then share that content to every possible platform. But BuzzSumo is also useful if you want to create team projects by saving particular results or uploading a list of URLs. The projects feature allows not only internal collaboration but also enables content marketers to identify top influencers in your niche. You can even get the Chrome expansion to take advantage of more benefits. Another useful tool is Feedly, particularly useful for content marketers in need of inspiration. Nothing helps to come up with new ideas like reading inspiring material that opens our eyes to new perspectives on different subjects. Feedly delivers content with a business-centered approach. It also adds YouTube videos to its collections for greater niche relevance. But the main advantage is the privacy feature. You can carry out regular brainstorming sessions behind the scenes with your internal team. That’s why the tool is so important not only for creating new ideas but collaborating as well. It just helps your team to work together on new content and brainstorm efficiently. Content curation is so effective because it helps organizations save resources and money. This curation tool doesn’t come for free, but it guides you through the entire process of finding, curating, and sharing content to your target audiences. You can be sure that your content marketing strategy gets a consistency boost and excellent support. But the best thing about Curata is that it includes rich personalization options. You can discover and sort content displayed by a smart search engine. In time, the tool learns about your interest and delivers content that is most valuable to you. That’s why Curata is such a huge timesaver. This tool derives from a simple algorithm that was designed to change the way in which we promote, share, and curate content. Launched in 2011, Scoop.it became surrounded with a thriving community that holds a lot of promise to both businesses and individuals. Get on to Scoop.it, and you’ll feel as if you were surfing the web to find targeted content for and from your audience. You can then scoop it to publish your own work or share the favorite pieces from other websites. That type of one-click publishing is extremely valuable for efficient content management. It also helps brands to connect with influencers in their niche. I know what you’re thinking. Pinterest as the content curation tool? There’s no denying that Pinterest is an amazing social marketing and community building tool, but content curation? Consider that: Pinterest offers you a direct connection to your target audience. You can follow your followers and use your feed to learn more about what they like. Second, while Pinterest focuses on visual content, you can build your own content library that uses the visual cues to come up with new SEO keywords and search queries. Finally, Pinterest is just great for inspiration and helps teams to come up with new ideas. And since Pinterest content is always fresh, you don’t risk that your team loses time on exploring stale trends. Another smart reader-learning engine you should consider for content curation is ScribbleLiv. This tool specializes in employee-generated content curation and publishing. If you’re always looking for new ideas coming from your organization, you can use this tool to enlist employees for coming up with ideas and promote content from the inside out. That way, you will boost your organic following and the overall reach of your content. 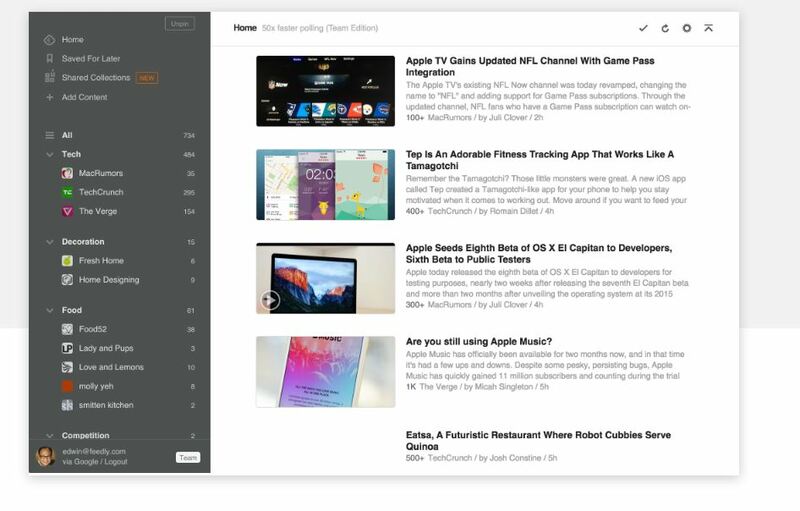 ScribbleLive also has a discovery tool which can learn the interest of users and offer them custom articles. Empower employees across different departments to become brand evangelists and leaders in their online circles. The number and diversity of these tools might seem overwhelming. But don’t try to dive into all of them at once. Instead, look around and see which ones might fill the gaps in your process or help your team save time by solving its critical problems. We wanted to include as many tools as possible, but most teams can get away with only a few of them. Still, it’s essential to pick a tool that perfectly supports your process instead of forcing your team to adjust the way they generate new content ideas or curate content to match the demands of a new tool. Shop around for content curation and collaboration tools and you’re bound to find ones that will help your content marketing team to soar to new levels of productivity.